Hi, I'm Hilton. I’m adopted! 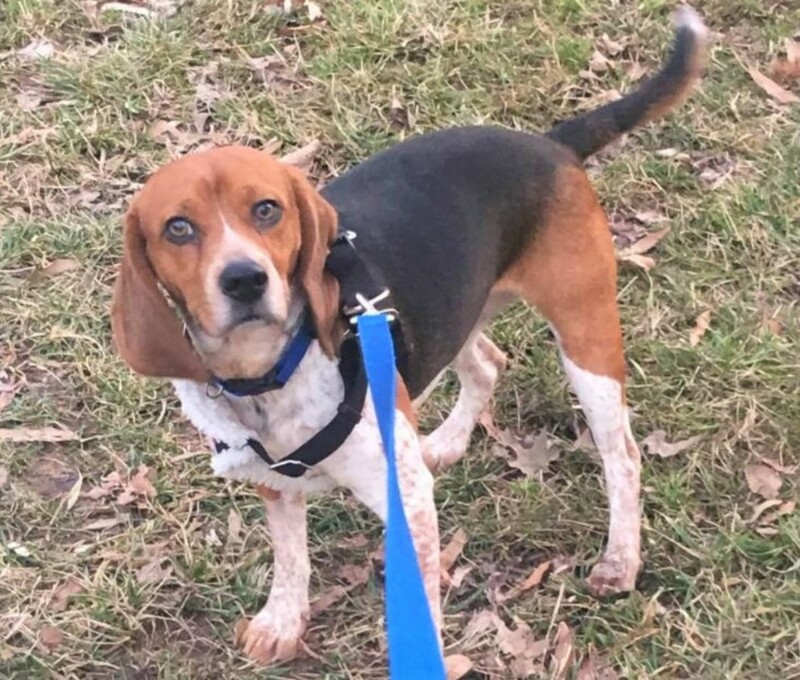 Hilton was adopted February of 2019! If you have a lap, Hilton will find himself a space on it; he’s super cuddly and loves attention. He’ll curl up next to you on the floor, couch, or wherever you find a spot. He loves playing with the ball and other toys, he can keep himself busy for long periods of time with a chew toy or bone. Hilton is learning commands; so far he’s pretty good with sit, eat, get down, and go potty. He is attentive to outside noise but isn’t afraid of loud noises. He’s is great with children of all ages; he’s gentle and playful (maybe a hump here and there!). He recently found his voice but has only howled at other dogs on his walks. He does need some leash training because he is in hunting mode, but is getting better at “potty-ing” on command so he can get back on the prowl. He does appear to be a good watch dog judging by how he stops and watches very closely everyone that passes by and keep an eye on them until they are out of sight or scent. In addition to being extremely sweet and adorable, one of Hilton’s best attributes is that he barely sheds. 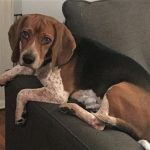 Hilton is ready for a forever home! 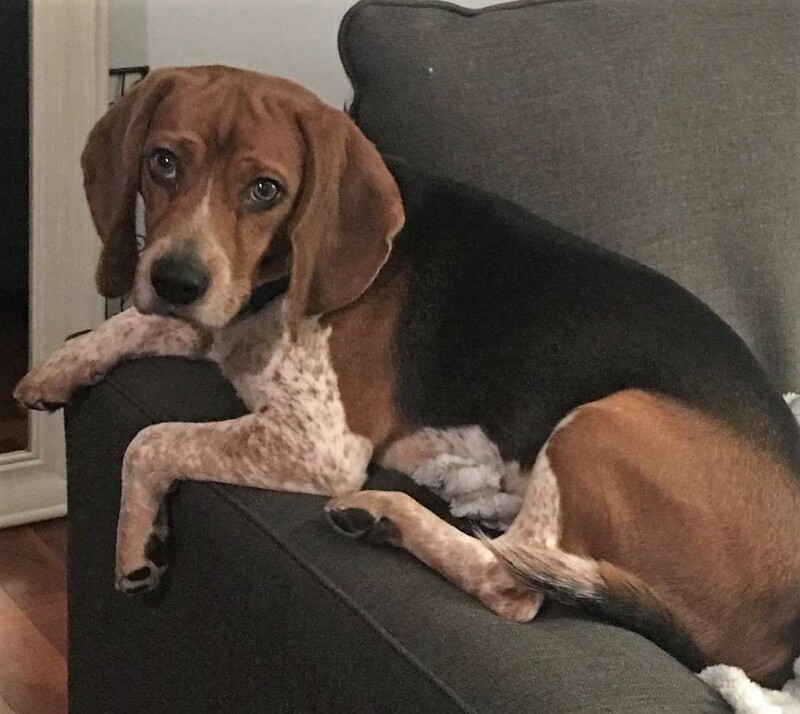 Age and weight: I'm 11 months old and weigh 29 pounds. If you are interested in Hilton. I’m adopted!, consider letting us know by filling out a (no-obligation) adoption application. Please consult our Adoption FAQ before contacting us. 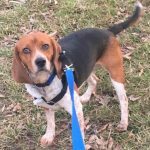 Hilton is expecting to attend the next adoption show, February 9th at the Calverton PetSmart, although there is always the chance that plans may need to change at the last minute.